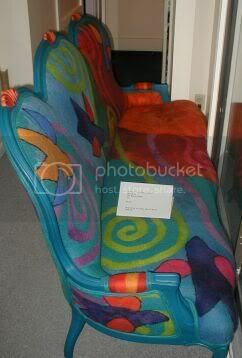 This felted couch was just about the coolest. 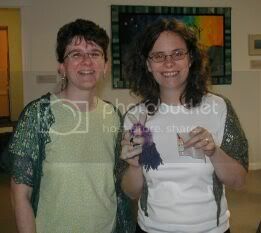 Stephanie was as funny and charming in person as you might expect from reading her blog. I brought her the Yarn Hare-lot that I made a while back, although she wasn't sure she still wanted it after I mentioned the voodoo overtones of needle felting. After the book signing I went out with Stephanie, Cate, Adrienne, Hippygoth (and her friend whose name I never got) and Marcy, and we spent a lot of time laughing (and meeting up with Morris Dancers, which was a bit surreal).